Run by a brother in law duo, Calais Wines is one of the best wine marts in the town. About 30 different types of wines and other beverages like champagne, whisky are stored in an amazing dispenser at optimum temperatures. Their motto being ‘try before you buy’ the best part about the store is you can taste all of them before taking out a single euro from your pocket. More recently Calais Vins have produced their own range of beers called Les Bourgeoises de Calais in Blonde. All the beverages are available at a reasonable price and in discounts too. By Road: Take the A16 motorway and take Sortie 44. Turn right at the first roundabout. 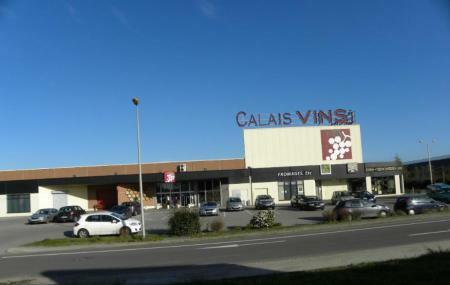 How popular is Calais Vins? People normally club together Caps Et Marais D'opale Natural Regional Park and Musee De La Guerre Or Parc St Pierre while planning their visit to Calais Vins. Absolutely wonderful experience in here today! Staff were so helpful and gave us a special tasting to pick the perfect wines for our wedding. Lovely atmosphere, great selections and friendly service. Will definitely return in the future. Highly recommend! Huge selection of products, staff is helpful. Free sample before you buy! Great wine shop just on the edge of Calais. Get in there for lots of tasty wines for very reasonable prices. A good range of spirits and liqueurs too. Staff are brilliant and very helpful. They will also accept GBP in note form. I find this place after visiting many vines shop in Calais. There I find what I was looking for. Thank you very much.